Free Taylor fitted archtop hardshell case. Taylor’s flagship rosewood/spruce series has been completely reconceived for 2014 and showcases a comprehensive array of tonal enhancements. Voicing refinements include custom-callibrated bracing and wood thicknesses, protein glues that enhance the tonal transfer, thinner finish to reduce tonal dampening and customized string sets. I personally like the look of the revamped model and the new pickup system is a definite upgrade. Tone is very different from the original so to me the 2014 model stands apart as a separate and unique tool for any musician’s toolbox. In the context of Taylor’s modern design heritage, the grand Auditorium is Taylor’s flagship body style and most popular shape. 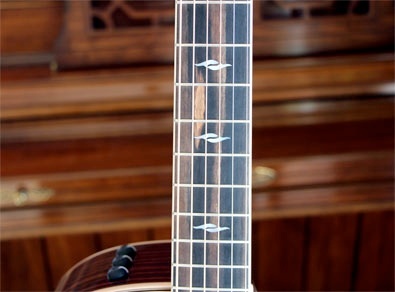 Tonally, it lives in the seet spot between a Dreadnought and a Grand Concert - designed with fingerstylists in mind - to give players the best of both worlds and then some. The GA’s well-defined midrange helps maintaint the balance and clarity yet with enough power on the top and bottom for strummers and flatpickers to let loose. 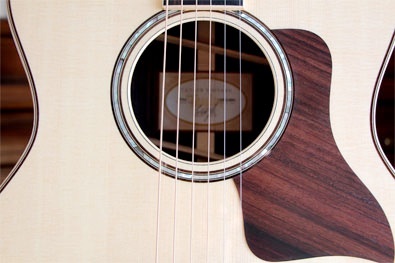 Taylor’s most versatile and popular guitar. 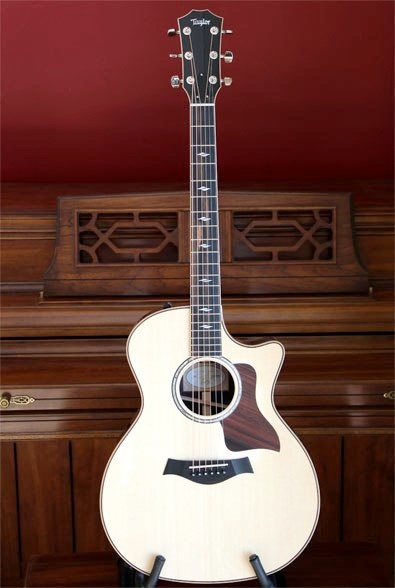 We carry the Rosewood/Spruce 2014 Taylor 814ce. Currently in stock.